Whether it’s to college or to office, a fresh looking everyday eye makeup is pretty essential. Makeup improves confidence in women. Making it important for us to know the right techniques to flatter the best of our best features. 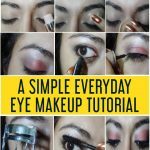 Many of those eye makeup styles that are eye catching seem daunting to do.In reality, they are very easy to follow once you get the hang of the basics. 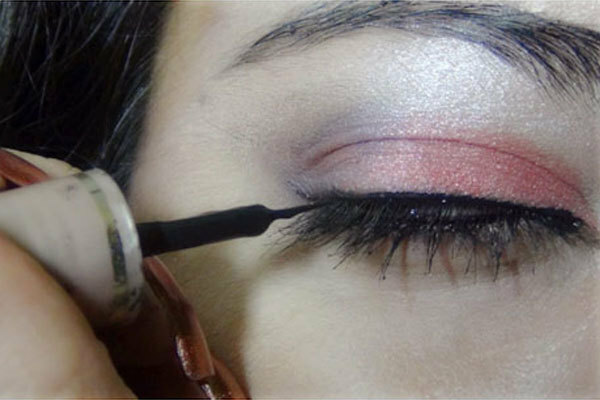 Today we will show you a simple and easy way to do eye makeup which can help you get a proper and sweet look when you step out. This is a very easy tutorial. With little practice, you can master it, mix and match the colors and techniques to create your own makeup look. Remember for everyday eye makeup look – do not go overboard with the shadow or liner application. You want to come across as groomed, not caked in makeup. A little pink blusher for the cheeks. 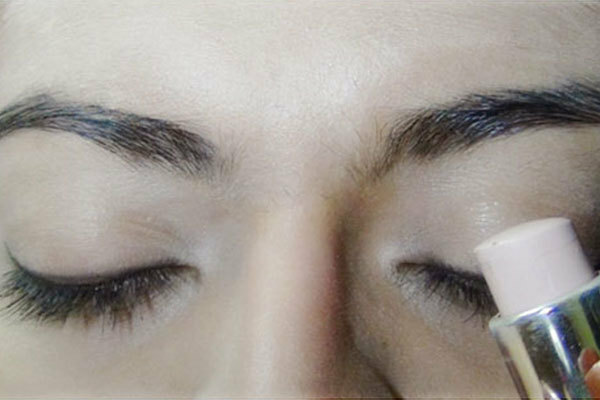 On clean eyelids, apply concealer and foundation. Follow it up with a compact for a flawless texture. This helps the colors to stick to your eyelids and also keep oiliness at bay. You can also use a primer for longer staying power. 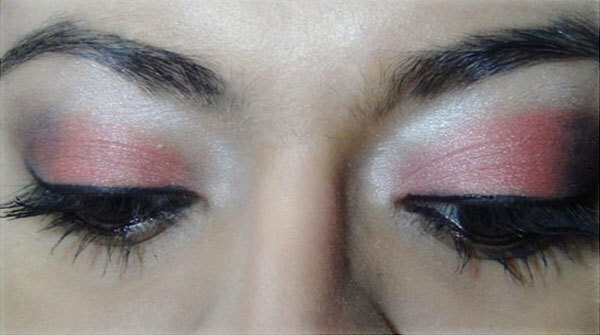 Apply the matte red or the dark pink eye shadow on the whole of the eyelid. Do not extend it in a tail. Just keep the eye shadow on the lid only. 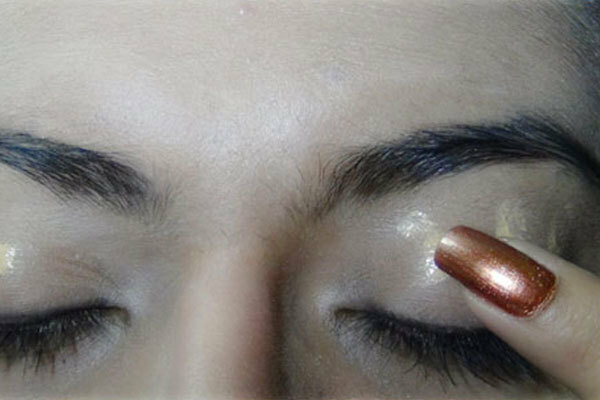 Apply the silver highlighter or silver eye shadow on the whole of the crease, on to the brow bones, at the eye nose junction and blend well. Blending is very important to avoid harsh lines. The better the blending, the finer the look. 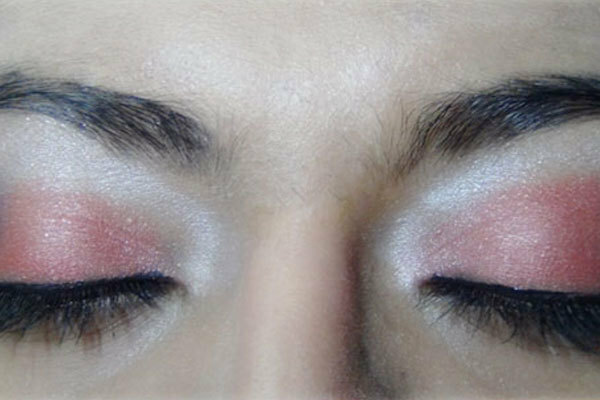 For a moderate and simple smokey effect or shadow effect, use the dark mauve or dark grey shadow at 1/3 of the eyelids at the exterior side. 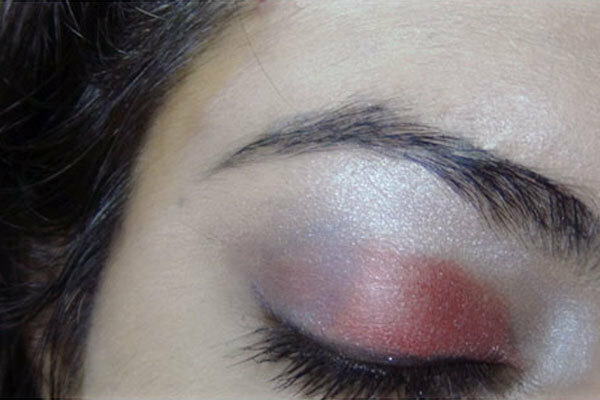 Do not do it half and half because that will make it a duos eye look which may not seem like a simple eye makeup look. 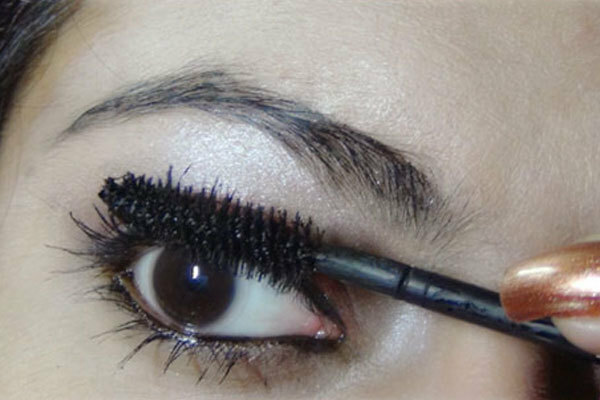 Use a black pencil liner or kajal on the lower rim. Drag the line towards the end of the lid and finish it there. Do not make extensions. Making extensions will be your choice. To keep it simple, I will neither broaden the line nor make any winged extensions. 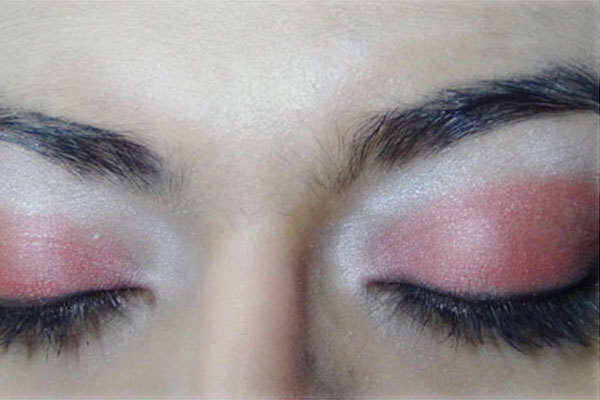 This is how the completed eye makeup look should look like. It is a clean and neat look. Use mascara in a top to down fashion on the upper lashes and a zigzag form on the lower lashes. 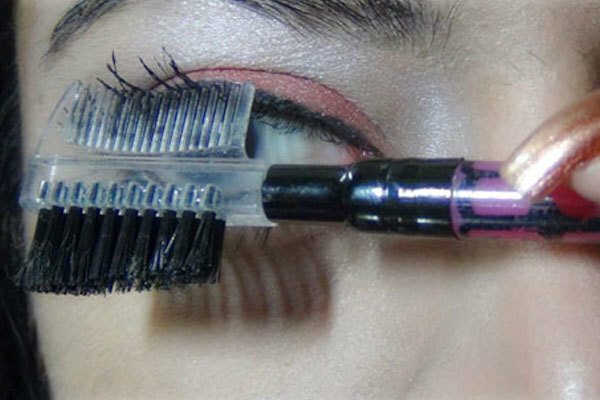 Brush out any excess or clumps of mascara with a mascara brush. 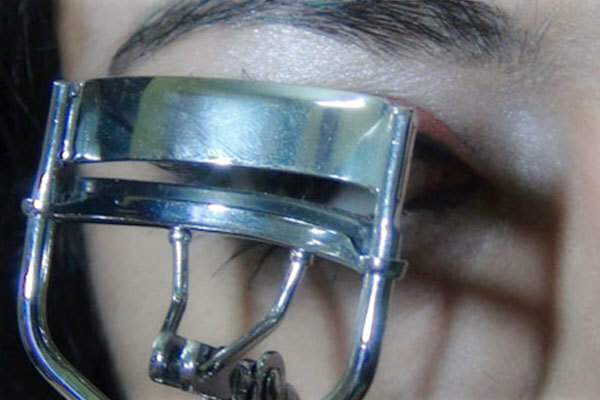 Use a lash curler if you want added curl. 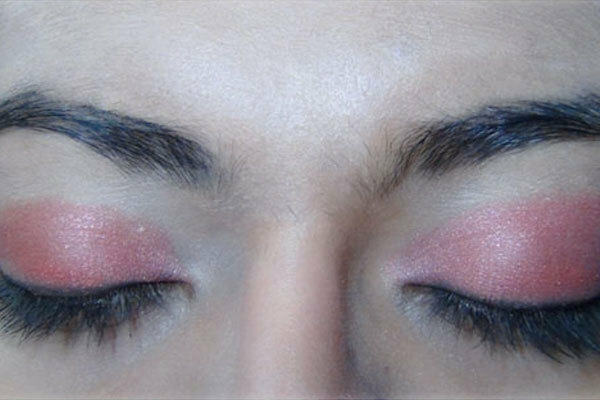 Use a pinkish blusher on the cheeks. A light pink lipstick with a dark pink liner and some gloss will complete your fresh everyday makeup look. This is how it looks when completed. This is the perfect clean and smooth light eye makeup look for daily use. 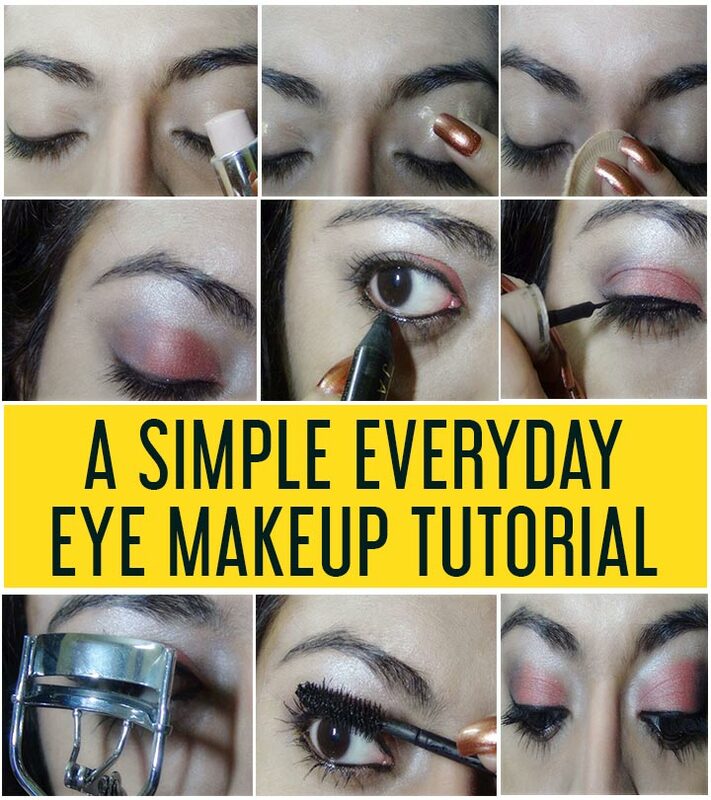 Hope you loved this everyday eye makeup tutorial. Will you give this look a try tomorrow? Leave your comments below. How To Apply Black Eye Makeup?